The 2017 Longines FEI European Championships are off and running (and jumping…) in Gothenburg. 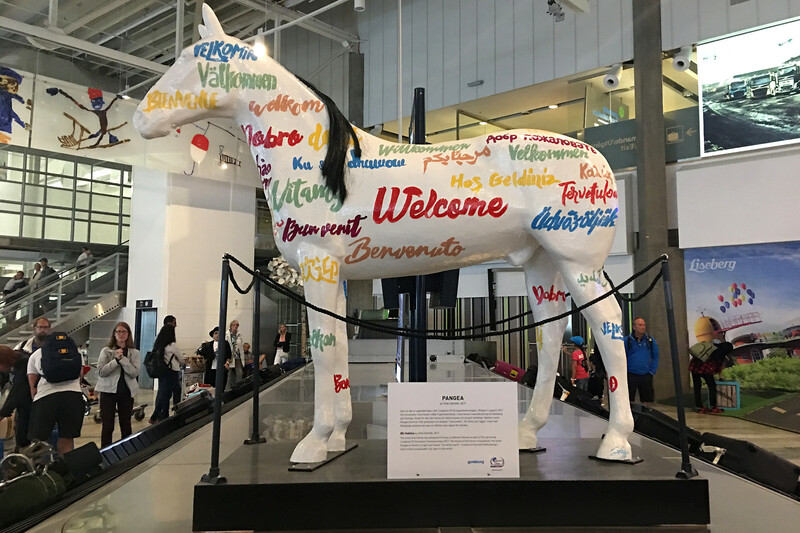 If you’re here to see the world-class equestrian action, you may have come across some very cool looking wooden horses all painted with striking designs. These were created by artist Shai Dahan to promote the event, and we sat down with him to see what it’s all about. You grew up in LA, immersed in street art and a culture unique to that city. How did that foundation shape your work today? I picked up my first spray can when I was 13 years old, that was my very first trial of doing public work. I always defined street art as the part of my career that involved me doing artwork that was, perhaps, without permission! Many of your pieces and murals feature the horse as your main muse. 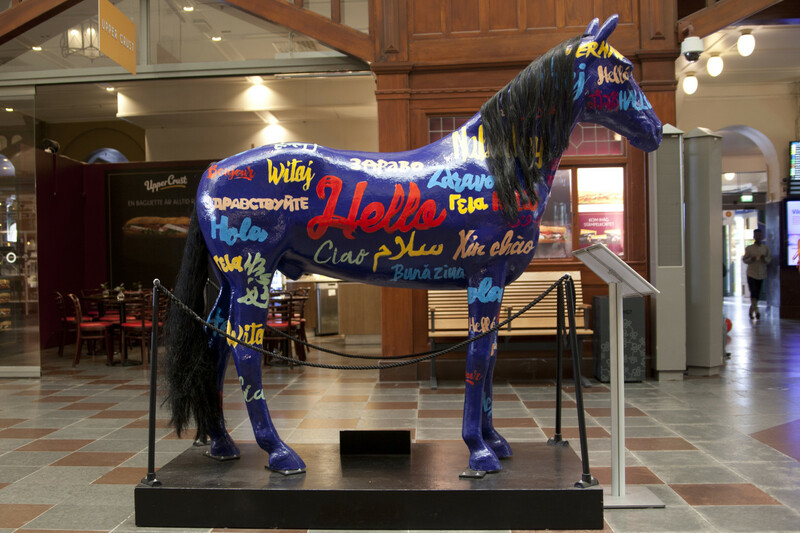 When did horses enter your art? Was there an event that inspired them to become the focus of your work? Yes, me moving to Sweden. When I first moved here in 2010 I noticed every Swede had a Dala horse in their house. And honestly, being me and not asking questions first, I assumed, it was a famous artist that made these and these were all knock-offs! But my wife explained to me it was a history of this village, so I did some research and fell in love with it. So I started doing illegal street art with realistic horses with the red horses and pattern. I started here in Gothenburg, and all over Brose and some in Stockholm, and I’d make these tiny miniature ones and stick them in walls all over the city. My Dala horse work opened the door to me side stepping away from illegally making art to doing it professionally. All of the sudden I get clients to have it painted on private walls, office walls and buildings. And I’ve been painting horses ever since. You’ve had a couple TedTalks in the past; in those you talk about art as a language, a way to communicate without words as a barrier. What is it for you that makes the symbol of the horse such a powerful message? The horse has always been represented as a masculine animal. You look at painting of Napoleon, and it’s always these overly muscular horses in battle. I felt like taking a horse and painting it with Dala patterns, could give both sides and interrupt a lot of emotions. Horses are special animals to us - we’re emotionally connected with them. But when you paint a horse, it doesn’t matter what culture you’re from. At the end of the day we all have the ability to connect with the animal. And you can symbolise a lot of different things, whether political, or personal or a cultural struggle. The ten statues you recently worked on must have been quite the undertaking. What was your process for creating these and the inspiration behind the designs you painted on each? We determined what represented Gothenburg in the best way and to me I feel like it worked out really well. Even though they each represent an individual unit, together they represent Gothenburg as a whole. It’s one of piece of art itself; it’s like one piece broken up into many. What do you think hosting The 2017 Longines FEI European Championships does for Gothenburg? The horse culture here is so strong. I consider a big chunk of my clients and buyers who ask me to paint are people who own, love, and photograph horses. These events are like me attending a street art festival, it’s like attending Disneyland, it’s all you’re favourite things. You really see the enthusiasm, even if you don’t own or ride, people still appreciate them. I think it comes back to that emotional connection, there seems to be such a strong culture of that around here. It sounds like this event and your contributions are really helping to preserve and promote the equestrian culture forward by helping with this event, is that correct? For me it was the perfect collaboration, I was already painting horses and I really thoroughly enjoyed that. So to have someone call you up and ask if you want to do an entire job is fantastic. So I enjoy every second, even here today (at the stadium) I’m here to paint some horses and that’s my favourite thing to do in the world. 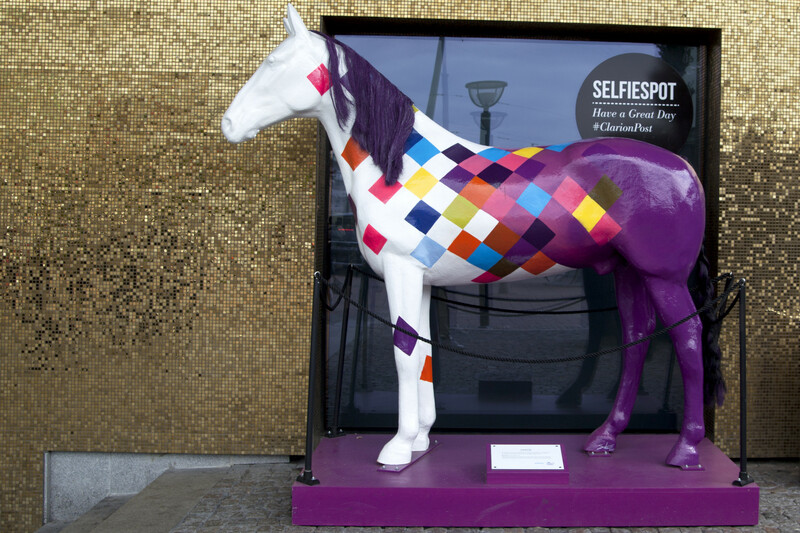 These remarkable statues can all be found around Gothenburg now, some promoting a selfie with the life-size piece. If you’re in Gothenburg for the sport, be sure to keep an eye out for them!